THE number of life sentence prisoners being released in Northern Ireland could reach a record high,as there are fears that the system to re-integrate them back into society is in disarray. The Northern Ireland Prison Service (NIPS) has not yet established any firm contingency plans to replace the purpose-built Prisoner Assessment Unit (PAU) on the Crumlin Road site which was closed in April 2011 following revelations about the conduct of both inmates and prison officers. As a result, most of Northern Ireland’s longest-serving prisoners have been transferred back to the main prison population at Maghaberry, where prison inspectors say they are not receiving adequate preparation before being released. 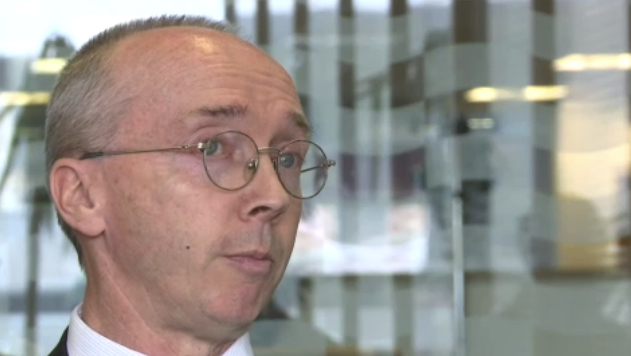 In an exclusive interview with The Detail CJI inspector Tom McGonigle says without a fully functioning step down unit, prisoners here cannot prove whether or not they are safe to be released back into the community. Figures obtained by The Detail show that the number of life sentence prisoners released over the past decade remained relatively static until 2010 when this number reached its highest point since 1998. Twenty-two life sentence prisoners were released during 2010 on supervised life licence. The same number of prisoners released in total over the previous five years. Prior to this the previous biggest increase had occurred following the release of a number of life sentence prisoners as part of the Good Friday Agreement in 1998. The latest figures from the the NIPS show that in 2011 ten serving prisoners were suspended from the pre-release scheme. A Criminal Justice Inspectorate (CJI) report from July this year outlined that any suspensions from the scheme since their previous inspection were mainly a result of failing or refusing alcohol and drugs tests or going absent without leave. Now the Probation Board has confirmed to The Detail that projections made in an internal presentation in 2011 included confirmation that there is the potential for 70 life sentence prisoners to be released over the next five years. However the Probation Board maintains that an effective pre-release system is about more than the location of a building. When we asked the NIPS to confirm the figure, they sent us a breakdown of the number of tariff expiry dates over the next six years. They also confirmed that in 2011, 14 prisoners had already been released on supervised licence. With no purpose-built pre-release facility currently in operation and most of Northern Ireland’s longest serving prisoners back in a maximum security environment, questions remain around whether or not the system preparing them for life back in the community is fit for purpose. There are two main categories for life sentence prisoners released here. The Northern Ireland (Sentences) Act (1998) is the legislation introduced as part of the Good Friday Agreement and facilitates the release of prisoners through this act. in 1998 65 prisoners were released under this act and a further 83 between 1999-2000. “Other Lifers Under Licence” refers to any other prisoners serving life sentences that are not being released under the 1998 act, but have been granted release through the normal method. The normal method is the process carried out by the Parole Commissioners for Northern Ireland. This is the independent body that make the decisions about whether or not to release offenders back into the community. Between 1995 and 2010 a total of 295 life sentence prisoners were released in Northern Ireland – 157 from Maghaberry, 136 from the Maze, one from Hydebank and one from Magilligan. We also received a breakdown of the period of imprisonment served by life sentence prisoners here between 1995 and 2011. The most common prison sentence served by a life sentence prisoner here was between 14-15 years with 47 prisoners doing so since 1995. Life sentence prisoners in Northern Ireland will remain in custody at least until their tariff has expired. The tariff is the minimum period the sentencing court stipulated they should serve in custody before being considered for release by the Parole Commissioners. Women lifers are held at Hydebank Wood Women’s Prison and young offenders usually commenced their sentence in Hydebank Wood Young Offenders Centre (YOC), which are both location in South Belfast. Most lifers begin a sentence in a maximum security environment as Category A prisoners at Maghaberry Prison and will spend most of their sentence there. They would be expected to progress to less restrictive regimes during their sentence, and ultimately to Category D, the final step in their custodial phase was to progress to the pre-release scheme which was based at the Prisoner Assessment Unit (PAU) in Belfast. The Prisoner Assessment Unit (PAU) first opened in 1996. It was originally known as the Working Out Unit until it was renamed in 2002. Activities at the unit were suspended in April 2011 to allow for an investigation into the operation of the unit to be carried out. Before its closure the NIPS transferred male lifers at any stage from 15 months pre-tariff expiry to the pre-release scheme that was based at the PAU, an annex of the former Crumlin Road prison. It was managed as a satellite of Maghaberry Prison, had a more relaxed regime, and was located on the margin of Belfast city centre. Phase One- prisoners were full-time residents in the PAU. During this time, which was for a minimum of one month, they were taught basic life skills. Phase Two- prisoners resided in the PAU and attended work placements between Monday to Friday, with permission to reside in a hostel or an approved home address at weekends. Phase Three- prisoners were permitted to reside and work fulltime in the community, but were also required to return to the PAU for drug and alcohol testing. At present most life sentence prisoners are at the Maghaberry prison site. In their July 2012 report, the CJI outlined that the suspension of the pre-release scheme had caused considerable logistical problems to provide opportunities for testing prisoners in the community because of Maghaberry’s rural location. An inspection by the Criminal Justice Inspectorate (CJI) in 2009 into the “transition to community arrangements for life sentence prisoners in Northern Ireland” found that the rate of lifers being suspended from community testing outweighed the number being licenced and this was causing difficulties for the Northern Ireland Prison Service. We can reveal that while in the year following the CJI’s recommendation, 22 prisoners were released; almost half of these prisoners were suspended from community testing. The NIPS have confirmed that there are approximately 20 serving prisoners on the pre-release scheme at the moment but said that this figure varies according to new additions and those suspended from the scheme for various reasons. The latest report from the CJI in July this year highlighted that it was in the public interest that life sentence prisoners are prepared for freedom before being released from closed institutions and that “providing unsupervised access to the community is a significant investment”. Speaking to The Detail, CJI inspector Tom McGonigle says the need for resolving the situation was more urgent than ever. He said: “With potentially 70 life sentence releases coming up there’s a lot of work to be done. The prison service is doing a lot but they still really desperately need to have some kind of step down facility. The structure of that is yet to be determined, that will test the prisoners thoroughly. The prisoner is disadvantaged and as a result public protection is compromised. This process has to be done as comprehensively as possible." 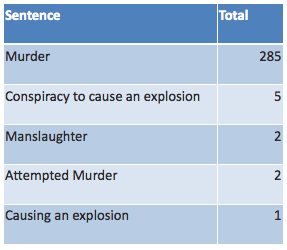 A breakdown of the figures for those sentenced to life imprisonment in Northern Ireland between 1995-2010 shows that the overwhelming majority were sentenced for murder. We lodged a Freedom of Information request asking for the most up-to-date figures. The NIPS confirmed that In 2011 there were a total of 14 Life sentenced prisoners released – 13 from Maghaberry and one female from Ash House at Hydebank Wood. The latest CJI report outlined that opportunities for testing prisoners were much more difficult from Maghaberry’s rural location, which was nowhere near as suitable as a community location in Belfast. Lack of public transport meant that vehicles were required for them to go anywhere. It stated that unlike the PAU, there is no opportunity to assess reliability and quality of interaction within a local community in routine matters such as shopping, getting to and from work independently or attending appointments. With search procedures, phone calls and visits all applied as normal in the maximum security environment of Maghaberry, Tom McGonigle believes that without any dedicated pre-release facility, prisoners are not being adequately tested. When we asked the NIPS what steps had been taken to address this need, it said: “The Northern Ireland Prison Service (NIPS), the Probation Board Northern Ireland (PBNI) and other partner agencies are already considering the current pre-release testing scheme with a view to introducing enhanced interim arrangements pending the development and implementation of a new facility as envisaged by the Owers PRT report. The Owers Report was a review into the prison service, formed as part of the Hillsborough Agreement of February 2010, which led to the devolution of policing and justice powers to the Northern Ireland Assembly. It was published in October 2011. It said that Maghaberry prison holds too diverse a population and should be divided into three ‘mini-prisons’: one for short-sentenced and remanded prisoners, one for those serving long or life sentences, and one for high-risk prisoners. However Tom McGonigle says there is still no clear indication as to when a new step-down provision would recommence. He said: “We’ve yet to receive an action plan from the prison service and others in relation to the report we just published in July, perhaps their action plan will indicate an intention to deal with it as a matter of urgency. We believe a new step down facility is currently under consideration and the prisoner service has a estate strategy. However, we’re not sure how long that might take but certainly in terms of good professional practice this model has to be quickly implemented and put into place." On 30 September 2011, there were 197 indeterminate sentence prisoners in custody in Northern Ireland (approximately 12% of the total prison population) and 48 on supervised license in the community. An indeterminate prison sentence is where the court sets the minimum term of imprisonment that an offender must serve before becoming eligible to be considered for release by the Parole Board. The Prison Service’s own investigation from October 2011 into the incidents that led to the closure of PAU recommended that the unit remaining closed was not a “sensible option” for the NIPS and the best way forward was a joint governance model for the PAU. It recommended share responsibility between the Prison Service and the Probation Board for Northern Ireland. Jane Lappin from the Probation Board believes the success of a new pre-release scheme will be about more than the suitability of the building and the location. She said: “Pre release facilities are only bricks and mortar. A successful facility is based on the staff and the skills of the staff who manage it and the opportunities that are available to the prisoner to show that they can manage their own risk. At the moment there is a lot of interagency work that goes on in terms of the prison service, ourselves, police, public protection arrangements, hostels and community groups all engaging in a monitoring capacity around those prisoners or supporting their resettlement needs.